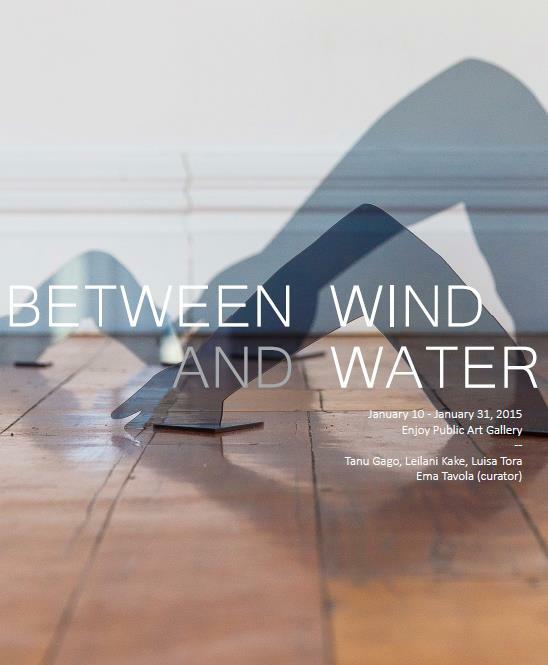 The Between Wind and Water publication documents the Enjoy Public Art Gallery Summer Residency undertaken in January 2015 by Tanu Gago, Leilani Kake, Ema Tavola and Luisa Tora. 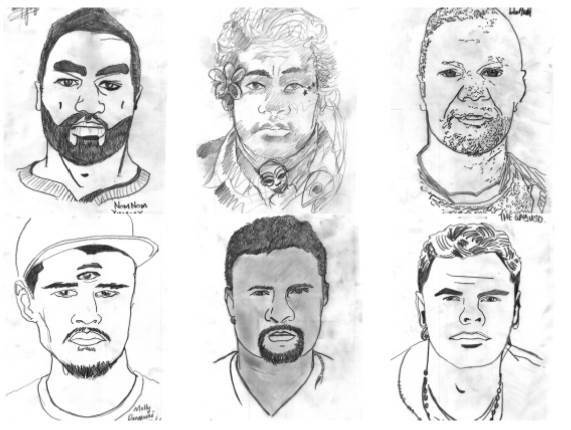 It has been designed by Meredith Crowe and features written and drawn contributions by Tanu Gago, Leilani Kake, Fuimaono Karl Pulotu-Endemann, Jessica Hansell, Kaliopate Tavola, Teresia Teaiwa, Luisa Tora and Faith Wilson. Being between wind and water is to be precarious, vulnerable. Making, presenting and discussing Pacific art and Pacific audiences in Aotearoa is a political, problematic and divisive process. Our small community is fragmented and diasporically disjointed. In a dominant cultural environment, Celebration By Default Syndrome too often squashes criticality particularly in the context of a top-heavy funding paradigm. In Aotearoa, assertion of identity is an act embedded in systems of power, privilege and oppression; Pacific people and Pacific art will never be ‘post-identity’. The Between Wind and Water exhibition and residency was planned to literally and conceptually align with Wellington’s annual Pasifika Festival. 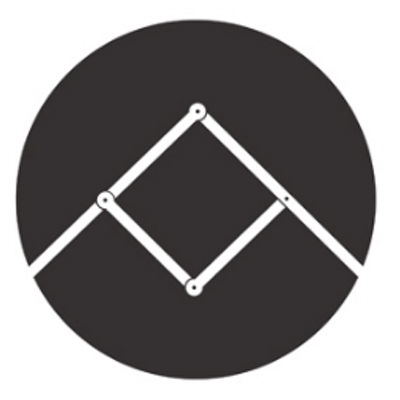 The project centralises Pacific art, people and ways of seeing. A grant received from Creative New Zealand enabled the artists to develop new and experimental work for the exhibition, and the Summer Residency at Enjoy Public Art Gallery allowed us to present it, discuss it and bring people together to reflect and honour Pacific lives and experience in Aotearoa. The artworks define their community, their intangible context of relational accountability. They represent the people and spaces the artists’ draw from, and are sustained by. They cut close to the heart for some, and reveal attitudes towards Otherness, privilege, colonisation and its residue on our everyday lives. Over two weeks, the Gallery became a forum for conversations about the Ocean, race and belonging, merging communities and the flawed ideal of the Super City. We broke bread with new friends, shared tears for West Papua, and got inspired by some of New Zealand’s most conscious Pacific thinkers, culture shapers and trailblazers. 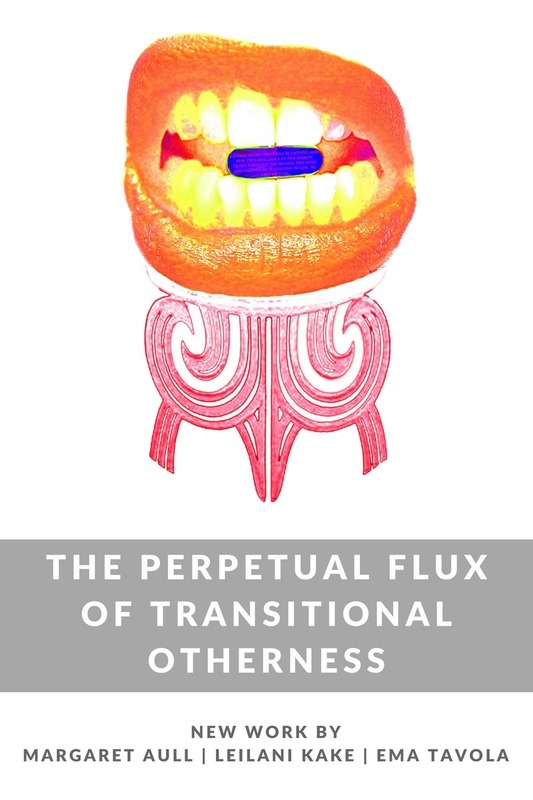 This publication is a record of our residency, an epic collective undertaking. It represents the spaces around and between Pacific art and audience, capturing moments of love, respect and consciousness for Oceania. Things have been quiet on the blog front since Between Wind and Water, a residency and exhibition that took place in January at Enjoy Public Art Gallery in Wellington. This beautiful publication is in development and documents the whole thing with photos, papers, extended artist statements and drawings – the first print run is headed to the Contemporary Pacific Arts Festival Symposium in Melbourne next month where I’ll be delivering a keynote presentation entitled, Curating Pacific Spaces: Oceania and the White Cube. Tanu Gago’s new work for Between Wind and Water is a follow-up from his 2010 three-channel video installation, YOU LOVE MY FRESH, a work developed for the Manukau Festival of Arts first shown at Te Tuhi Centre for the Arts in Pakuranga, East Auckland. Since 2011, Tanu has worked predominantly in photography but his kaupapa has always been to acknowledge, represent and celebrate the unique positions and shared experience of his communities in South Auckland. Making photographs that reclaim the gaze, his work and the projects that have emanated from his practice, give voice, presence and mana to people, places and spaces that are generally otherwise unrepresented in New Zealand mainstream media and art history. Five years on, The Sound of the Ocean is the sequel to YOU LOVE MY FRESH. An uncomfortable historical reminder of embedded colonialism and media power, stereotypes and expectations that still linger in coded interactions with critics and academics, curators and haters. Concerned with authorship and representation, past and present, this work remixes found footage from the Internet with Google imagery of Pacific peoples history in New Zealand. The Idea is to re-author the past decade of Pacific media representation, using my own Pacific lens and perspective to tell my own story. This is the informal Pacific history according to me. The full three part video work has been created for Between Wind and Water; Tanu will discuss his work and ideas at an Artist Talk on Thursday 22 January at Enjoy Public Art Gallery – all welcome! We’re using the New Zealand crowdfunding platform, PledgeMe to raise some funds to cover costs associated with accommodation and transport during the Between Wind and Water residency at Enjoy Public Art Gallery next month! Having been live for about three weeks, we’re now in the final hours. I’ve just added two PIMPI fans to the mix as rewards (NZ$75) and also the last three REAL TALK T-shirts (XL only) designed last year by Tepora Malo to support the #2girls1conference project (NZ$50). 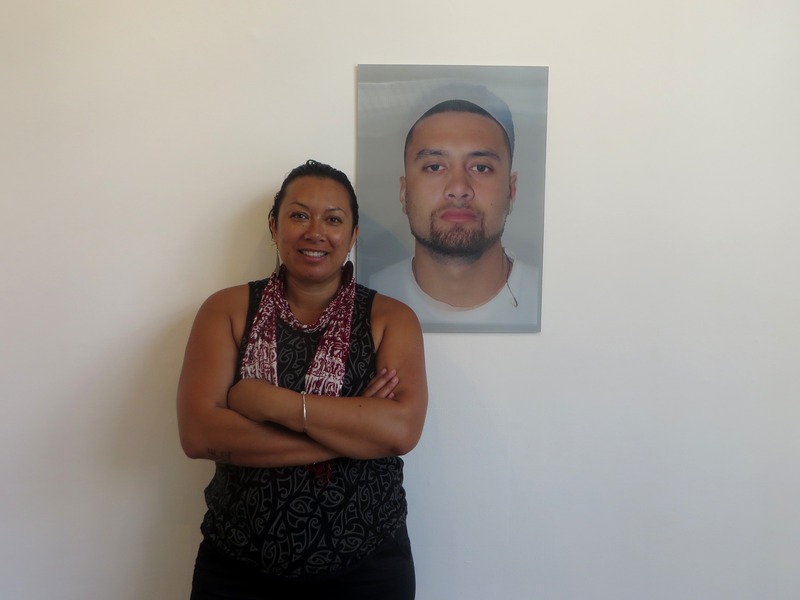 There are also signed photographic prints by Tanu Gago (NZ$200) and the option to contribute NZ$20 for an acknowledgement in the project publication. The PledgeMe campaign closes at 6pm, Sunday 21 December! Every dollar, share, like and shout-out counts – much appreciated! Click here to find out more + support!